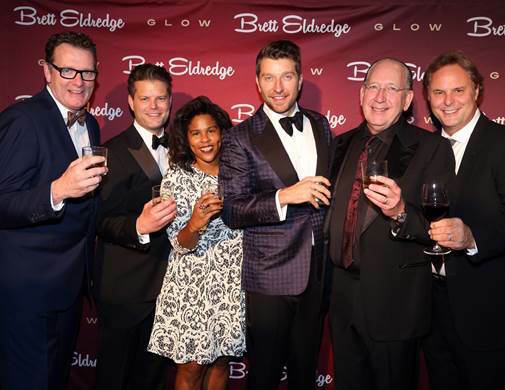 The third annual “Evening with Brett Eldredge” last night (Dec. 13) at Nashville’s City Winery was bright with music and holiday cheer, with the Platinum-selling recording artist channeling Sinatra to deliver classic Christmas songs and a new original from his recently released album Glow. Country duo Big & Rich joined CMT Hot 20 Countdown as the show completed its first trip overseas to a military base in Bahrain to tape two special holiday episodes that will air at the end of the year. Hot 20 Video of the Year Countdown premieres Saturday, Dec. 17 at 9 a.m., ET/PT followed by Hot 20 Holiday Salute on Saturday, Dec. 24 at 9 a.m. ET/PT. 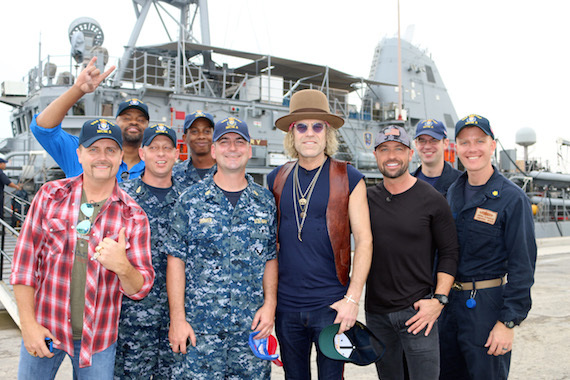 Partnering with Armed Forces Entertainment, Big & Rich, along with CMT’s Cody Alan visited the Naval Support Activity Bahrain, home to the U.S. Naval Forces Central Command (NAVCENT) and U.S. 5th Fleet. Their trip, which included performances from Big & Rich, special music video shout-outs from military personnel to their friends and family back home, tours of Arabian Gulf naval ships, physical training sessions with soldiers on base, artillery demos and more will be highlighted across both “Hot 20” specials. 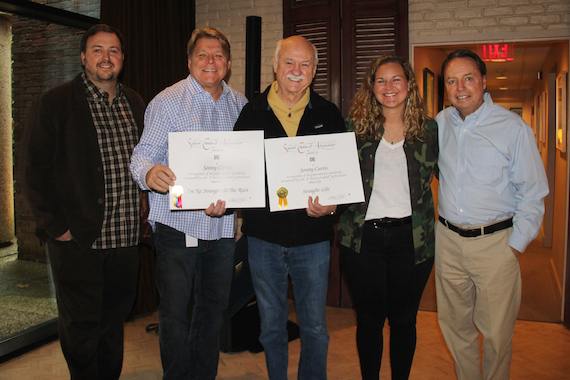 Pictured (L-R): BMI’s Mason Hunter and David Preston, BMI songwriter Sonny Curtis and BMI’s Nina Carter and Jody Williams. Rock and Roll Hall of Fame member, member of The Crickets and BMI songwriter Sonny Curtis stopped by the company’s Nashville office to receive two Million Air awards, one for 3 million radio spins of “I’m No Stranger To The Rain” and the other for 1 million plays for “Straight Life.” The songwriter has awards for hits such as “I Fought The Law” and “Walk Right Back” and wrote and sang the iconic theme song to the Mary Tyler Moore Show.